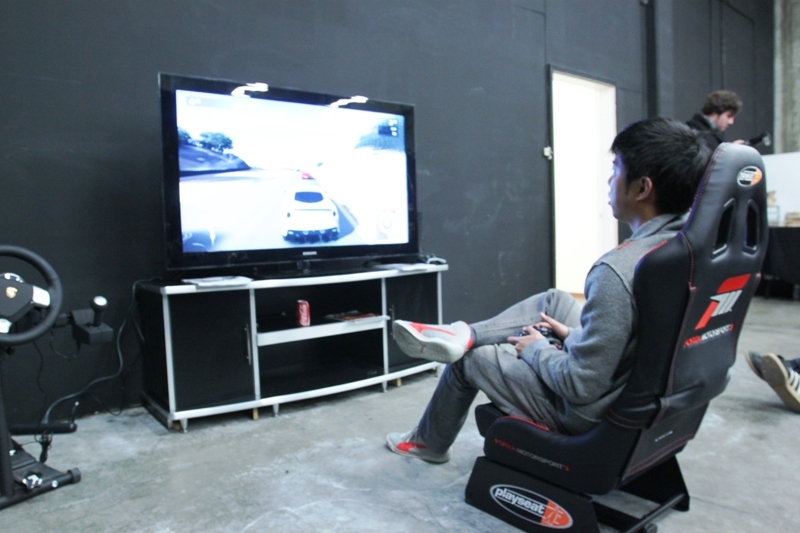 Last night RJ and I were invited out to the ID Agency in LA to check out the new Forza Motorsport 3 “Hot Holiday DLC Car Pack“. There are some pretty fresh cars included in Forza’s latest DLC including the Team Jost Audi R15 TDI (finally!). I was rocking that on Road America and you can’t touch it in the straights! I’m so sick of people on Xbox Live picking that damn Peugeot 908!! 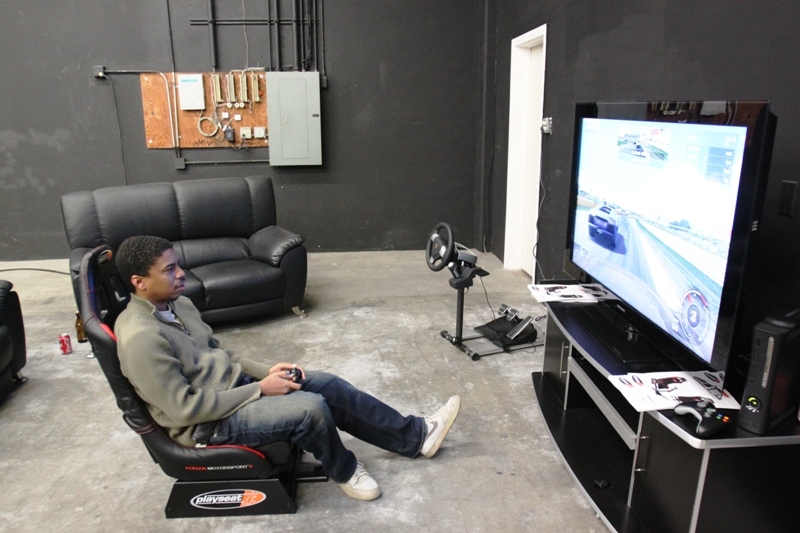 But I digress… We also got to semi-try out the Playseats limited edition Forza Motorsport 3 Racing Seat. I say “semi” because the $500 Porsche replica Xbox steering wheel at the event was broken in shipping so we all used the controller. The seat was still pretty comfortable though! 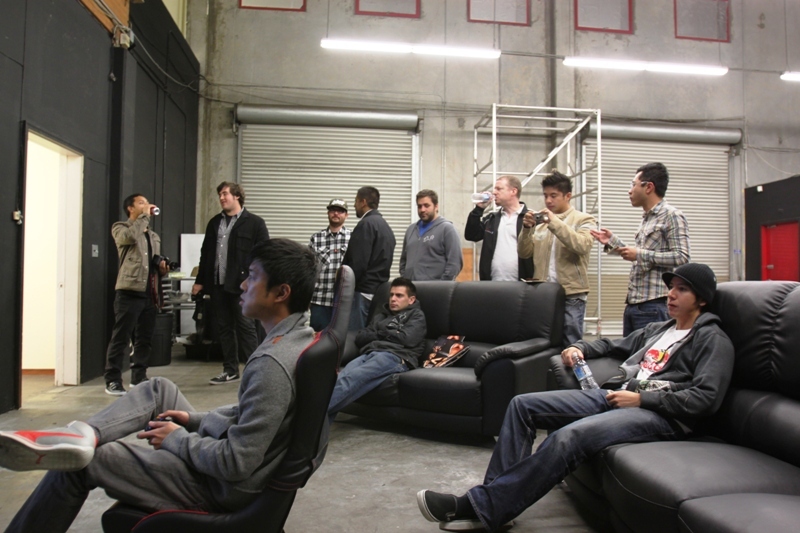 Check out the official trailer and some pics from the event below.